MEAB är ett företag grundat 1970 och aktivt inom den kemitekniska sektorn med specialitet inom hydrometallurgi. 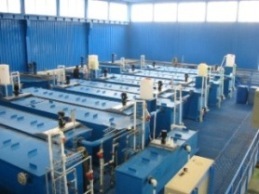 We have the knowledge and experience to introduce the hydrometallurgical technique, incl. auxiliary procedures. If MEAB has a solution to the customer's demands, we will have the ability and know-how to suggest process alternatives- an existing process or adaptation of a similar process.